Just weeks before taking the Broadway stage, George St. Geegland and Gil Faizon took the podium. 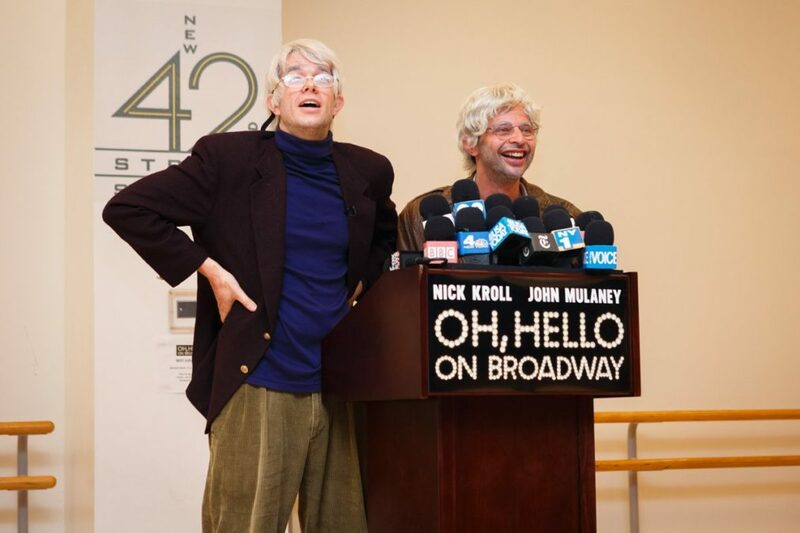 Comedians John Mulaney and Nick Kroll played the crotchety characters at a mock press conference on September 8. Following Oh, Hello's wildly popular off-Broadway run last fall, the duo will make their debuts on the Great White Way beginning on September 23. Alex Timbers, who was recently announced to be at the helm of Moulin Rouge! 's in-the-works stage adaptation, directs Mulaney and Kroll's two-man comedy, which features them as their outrageously opinionated, 70-something characters carrying out both scripted and improvised hilarity. Opening night is set for October 10 at the Lyceum Theatre, so be sure to check out the pics and prepare for a laugh attack!